Felix is married to Evelyn and they have 2 children Felix and Victoria. They love living, working and ministering in the Hudson Valley area specifically Newburgh and Plattekill. They know first-hand that this is a great place to live and raise a family, as well as a city where its residents know, love, and serve God’s purposes in the world. 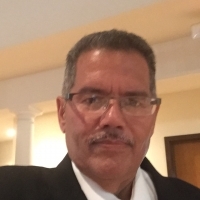 Felix is a by vocational ministers, working as an Accountant in his own business Robles and Associates, Inc. in Newburgh NY 12550 for the last 30 years. In the last 5 years he has severed as Executive Pastor in Mount Vernon Alliance Church for 3 years and now he has been the Senior Pastor at The Way Family Christian Center since September of 2013, making the Kingdom of God visible and tangible in Plattekill New York.